Relevant information to get you acquainted with the Dutch rental market. Dutch rental market: how does it work? 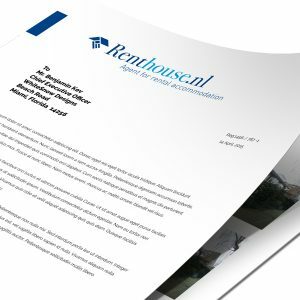 The first thing to mention is that there is a general shortage of residential rental properties in the Netherlands. This especially applies to properties in the Randstad region. That region is basically the triangle which can be drawn between Amsterdam – The Hague – Utrecht. Therefore the government has applied what is known as the ‘Points System’ to regulate the rental property market in the Netherlands. In some areas such as Amsterdam this has always been strictly regulated, and in other areas it is becoming stricter as time goes by. The Points System rules basically state that properties which do not meet the criteria to achieve 146 points or more are not open to ‘the free market’. If that is indeed the case then the property falls under ‘Social Housing’. their salary falling below a maximum income (currently around € 35,000). candidates should have been on an official waiting list to acquire the right to rent in that neighborhood of the city. This waiting list is 5 years in most cities but in Amsterdam itself 10 years is more realistically. This sounds extraordinary but has long been very much a reality for Dutch people looking to find their own rental home. If indeed you do qualify and become eligible, at the end of the day you will be competing with locals which are preferred by Dutch home owners as they commit to longer contracts and will not include the ‘Diplomatic Clause’ for you as expat tenant. There are three general conditions in which a property is rented. this means in principle that you should be able to bring only your toothbrush and clothing. All other furniture will be present in the property. this means that the property is equipped with a floor covering, curtains or other window covering, and that there are laundry facilities such as washer and dryer. this literally means the property comes with a concrete floor and no curtains or laundry facilities installed. You do always get a fitted bathroom and kitchen. This type of property can be interesting if you are planning to stay a number of years and are willing to invest in carpet or laminate and some curtains. The prices of such properties are commonly lower and they tend to be found in modern complexes. Most landlords ask for in principle 2 month’s rent as a deposit, which is payable along with the first month’s rent before the keys will be handed over. Depending on the size and condition of the property though, this may be able to be negotiated down by the agent who represents you. Dutch law prescribes one months’ notice. Irregardless of which notice period an offer and/or a rental agreement might have, Dutch law.